Just a question, based on the map editor screenshot: is there a chance to include Ártánd or Biharkeresztes (my hometown ) as a background scenery town at the border station? With a little bit of creativity you can do it PapierSUHD, looking at the space there, it would be possible but it will mean that some roads will have to change a little bit, like make them a little shorter. However as i said, it is sad if you won't make the M35 fully drivable, i drove there when i went to Romania some time ago. It is so full there in the summer months at the border with RO, with Romanian peoplo who work outside of Romania returning or going there. With the M35 you can give people that real feeling, although making maybe a border more at Satu Mare would be better because it is a border we (my parents and me) cross each year some times, it is more calm, lesser cars. However the decision is all yours, the only thing i say is that it is possible. I think maybe it is good idea temporarily, but after rebuilding border area M35 will be most likely much longer, so in that point it should be also extended in game. Nothing is stopping you to do your own ProMods addon for this area then (similarly to Paris Rebuild or ScandinaviaMod, for example), once PapierSUHD's update is released. I think the reason why he's not building the road toward Satu Mare is that the city, and thus the roads leading there don't exist in ProMods Romania (and Baia Mare is way too far from it east to warrant a connection on the Hungarian side). Apart from the space issues in the Nyíregyháza area of course, as he mentioned earlier. I think you mix up M35 with M4 here. M35 is now considered complete in real-life, now that its last stretch between Debrecen and Berettyóújfalu has been built. It's planned to be connected to M4 (that will lead from Budapest to the Romanian border) some time in 2020 at its Berettyóújfalu junction. I agree with you that once this happens real-life, ProMods Hungary will need a revision to include M4, but until that, PapierSUHD's current approach properly reflects transit traffic in the Debrecen region. But just my two cents. I want to support you, PapierSUHD! You made great plan! is there a chance to include Ártánd or Biharkeresztes (my hometown ) as a background scenery town at the border station? I reckon that Biharkeresztes could work as a scenery town (because it's very close to Route 42). Ártánd is a bit too small, I would say. Also, just one more note: I noticed that MIRFI used Hungarian MÁV trains and carriages as scenery traffic between București and Constanța in ProMods Romania. I really recommend using the same MÁV passenger train mover (or AI now?) in Hungary as well, as they would perfectly fit there. I haven't seen this detail until now. 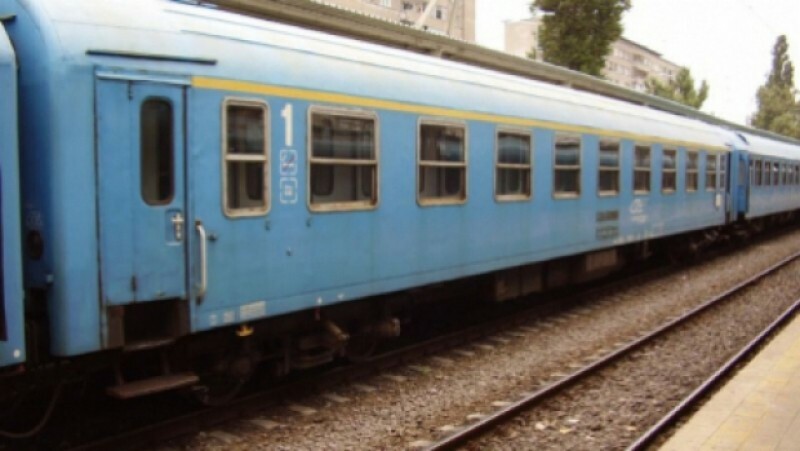 I bet MIRFI used the MÁV train because of the trailers' similarity to the Romanian ones such as https://mediastiriv1.freenode.ro/image/ ... R-tren.jpg. PapierSUHD, can you place a hotel in Győr, because there's no other resting place beside the garage and I encountered driver's fatigue right in the city at unloading the trailer. I had to buy the garage in order to rest and (good Lord!) I had the money for it. Also if you work on Eastern Hungary, can you connect Debrecen or Oradea with M5 or Budapest? I really recommend using the same MÁV passenger train mover in Hungary as well, as they would perfectly fit there. Interesting! I've never noticed that we have trains with this look. can you connect Debrecen or Oradea with M5 or Budapest?